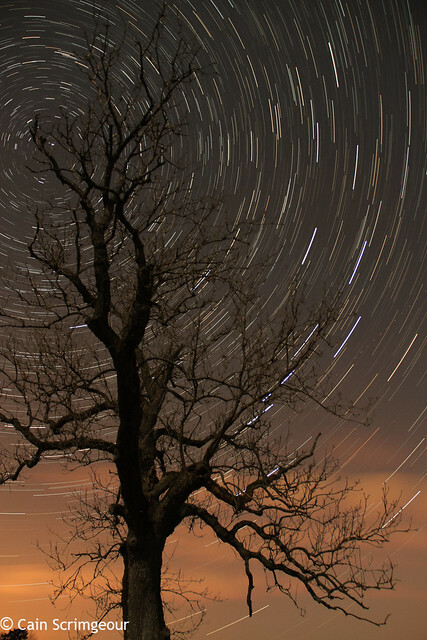 Here's a star trail image from the other week, taken just outside of Penrith. I know someone who will be keen to learn about this technique. :) Me as well. Cheers. I presume you just point the camera skywards, set the timer then go to the pub for half an hour and HEY PRESTO ! Did you get any decent slo-mo footage from St. Marys the other day ?? Its getting there John, saving it for my project.